Are you ready to take serious steps to discover the hidden resources of divine joy, love, and power within you? 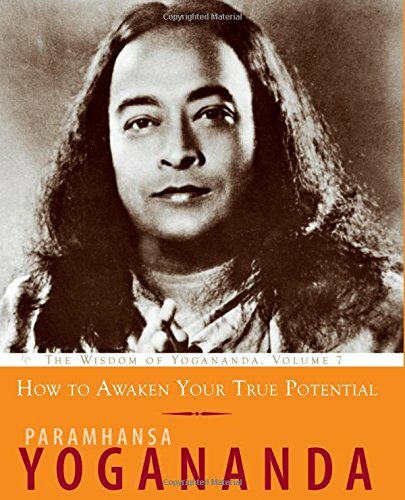 Paramhansa Yogananda, one of the best-loved spiritual teachers of modern times, offers step-by-step guidance to help you awaken your true potential. You will discover that hidden within you is untold power, and you will learn how to take steps daily to live life with greater joy and meaning. Yogananda rouses you to awaken your true nature, beginning by looking at the habits that hold you back and how best to change them. He gives practical steps to prepare you for the inner journey of awakening. The book includes not only the meditation technique that he calls “one of India’s greatest gifts to the world,” but many other techniques for achieving inner stillness and realization. Yogananda also shows you how, once you begin to discover the power of your soul nature, to use higher consciousness to live more productively and successfully. This priceless handbook is drawn from courses and articles he wrote in the 1920s and 1930s, and most of the material is not published elsewhere. The book is organized in a potent, easy-to-absorb format.